You’re headed towards ukulele glory! I’m Bartt Warburton, and I’m going to teach you how to play ukulele. 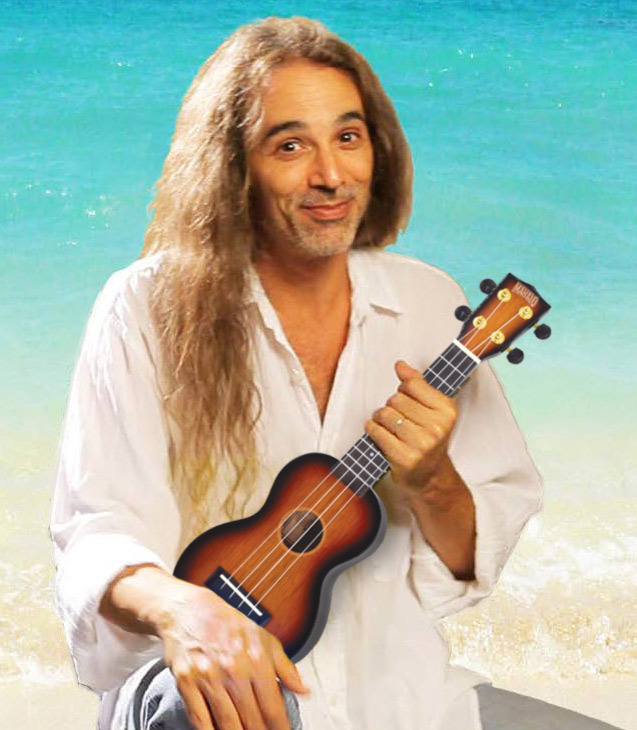 This e-book is the companion to the Mahalo video that’s called “Ukulele Crazy: Get Your Uke On!” Both the e-book and the video are for beginners, so if you just got your first ukulele, you’re in the right place. The video can be downloaded free from mahalo-ukulele.com when you purchase from a range of selected Mahalo ukuleles or you can buy the download from Bartt.net. I’ll be teaching you how to play basic chords, do basic strumming, and how to read those funny-looking chord diagrams. I’ll also teach you some of the basic vocabulary of music, and we’ll do a little bit of blues and some practice exercises. With the help of “Ukulele Crazy,” you’ll be able to play lots of easy songs. When you’ve mastered everything in this book, go to Bartt.net and get more advanced lessons. And when you’re ready to shop for a ukulele, go to Mahalo! Get your uke out, and get your uke on!